SHOULD YOU OPT FOR A NISSAN SENTRA LEASE IN FORT LAUDERDALE, FL? The decision to buy a Nissan Sentra is an easy one. With above average fuel efficiency, impressive crash test scores, and an affordable price, the 2018 Sentra is an excellent choice for your next car. Now that the easy part is out of the way, you have to decide whether you should buy or lease your next car. Before heading to a Fort Lauderdale, FL, dealership, learn more about each option, so you’ll know exactly which one is right for you. Buying a Nissan Sentra is perfect if you have the funds and want a car to be truly yours. Many people choose to buy rather than lease a car not only for the satisfaction of owning it one day, but also to eventually be free of monthly car payments. If you buy a car and decide you want something else, the car is yours to sell at whatever price you choose. Another perk of buying a car is lower insurance premiums. You can also do whatever you want with the car when you buy it, whether you want to get a new paint job or rack up the mileage with no penalties. Remember when you buy a car at a dealership in Fort Lauderdale, FL, you might have higher payments than you would with a lease. If you have a steady job, finding a payment plan that works for you shouldn’t be a problem. If you’re low on funds or have bad credit, leasing might be a better choice. Leasing a car is basically like renting it, so you only pay for it while it’s in your possession. 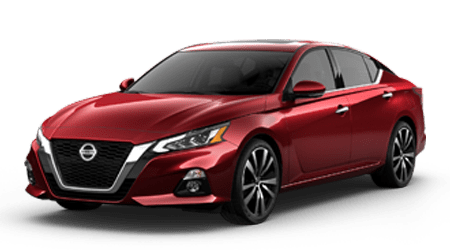 This makes a Nissan Sentra lease ideal for anyone who wants a flexible paying option without having to drive the same car forever. At the end of your lease period, usually between 36 and 48 months, you simply return the car and choose another one. A car lease usually involves much cheaper payments than buying a car and little to no down payment. You also don’t have to worry about depreciation because the car will go right back to the dealership when your lease period is over. To learn more about the Nissan Sentra or lease deals near Fort Lauderdale, FL, visit Performance Nissan today.